While researching Joan B. Fletcher, Jane Jones discovered a fascinating story about a family of strong women. Joan Fletcher, a Black woman, was born 28 June 1925 in Council Bluffs, Iowa to Russell and Mabel Banks Fletcher. Joan was baptized at St. Francis Xavier Catholic Church in Council Bluffs. Her father, Russell, worked in the Roundhouse for the Chicago, Great Western Railroad later becoming a carman. Russell was born in Chickasha, Oklahoma and according to the 1940 Census he had a 3rd grade education. Russell and Mabel were married in Kingman, Kansas, March 4, 1924. 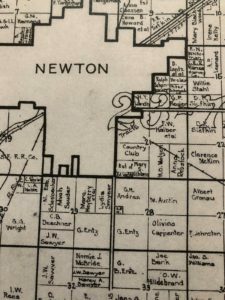 According to Council Bluffs City Directories Russell and Mabel were together from 1925 to 1935. Mabel and her daughter, Joan, left Iowa in 1935 and came to Newton, Ks. Mabel sought a divorce from Russell on a charge of cruelty. It was granted Aug 15, 1935. She never remarried. Mabel’s family was already established in Newton. 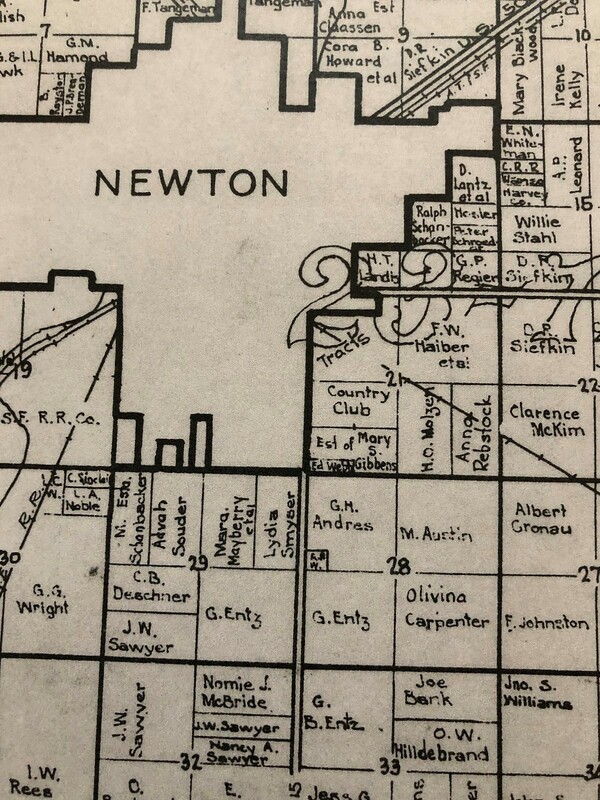 On arriving in Newton, Mabel and Joan lived with Mabel’s brother and sister, Fred and Nellie Banks, on the family farm in Sec 33 of Newton Township. Mabel’s father, Joseph Banks, had bought that farm (80 acres in the NE ½ NE ¼ Sec 33) for $8,000 on Oct 22, 1925. Joe was able to pay the full amount. Before arriving in Harvey County, Ks, the Banks family traveled across the country to find their home. The story begins in Virginia with freed slaves, Ferdinand Banks and Sylvie Walton (Miner). According to the 1866 Act, Ferdinand and Sylvie were “married” in 1842 and had nine living children in 1866–Maria 5; John 14; Emma 15; Martha 16; JOSEPHUS 17; Ellen 18; Cynthia 19; and LEWIS 22. After receiving their freedom, Ferdinand and Sylvie remained in Roanoke County,Virginia. The 1870 and 1880 Federal censuses found them farming in Roanoke County. Sylvie is on the 1900 census as head of household with a daughter and two grandchildren. One would assume Ferdinand died sometime between 1880 and 1900. While Ferdinand and Sylvie stayed in Virginia, several Banks children family traveled from Virginia after the Civil War to Illinois and then to Kansas. The two sons, Josephus (Joe) Cephus Banks and brother Lewis Edward Banks, were born slaves in Roanoke County, Virginia. After the Civil War, they began searching for a place to call home. Joe and Lewis set off undercover in a wagon from Roanoke County, Virginia to Bond County, Illinois. They followed their slave master’s daughter who married and relocated in Illinois after the Civil War. Joe and Lewis farmed. Lewis married Mary Frances Day in Virginia on December 4, 1858. The Illinois household in 1870 consisted of Lewis, Mary, and Joseph Banks. Charley Floyd also came with the group and lived with them until he married. 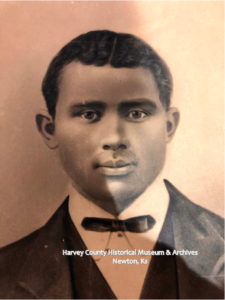 The connection with Charley went back to their days as slaves. Lewis and Mary had no children. 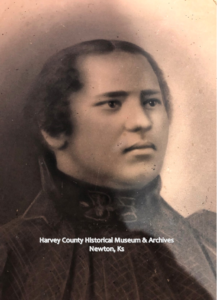 Joseph married Adella Scott in Bond County on November 4, 1879. There first child, Nellie, was born in 1883. The Banks and the Floyd families packed up and made a move to Kingman County, Kansas in about 1883. They were farm laborers. The rest of Joe and Adella’s children were born in Kingman—-Florence, Fred (Ferdinand), Pearl Henry, and Mabel. Nellie Banks – the oldest never married. Florence Banks Mays – married Will Mays in 1924 and lived in Newton on E. 8th..
Thomas Ferdinand (Fred) Banks – never married. Like Nellie, he stayed with the family and helped farm. 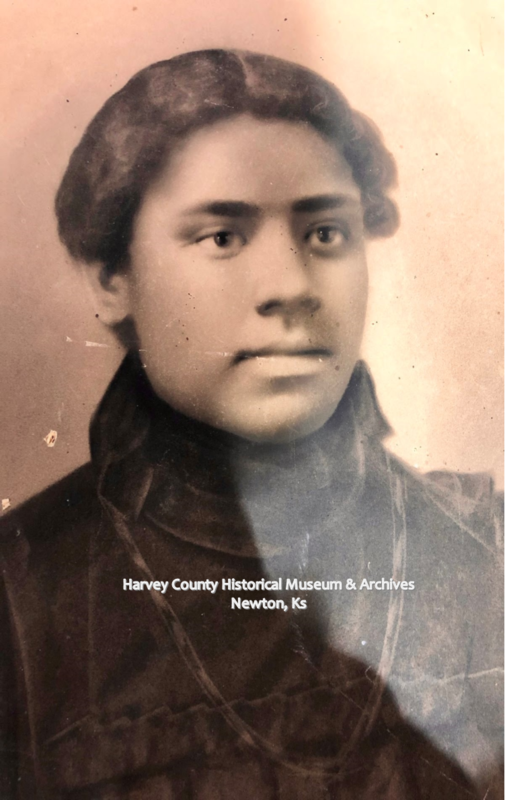 Pearl Henry Banks – Pearl eventually married and lived in Kingman, Ks. Mabel Banks Fletcher – the youngest, Mabel, Joan’s mother. 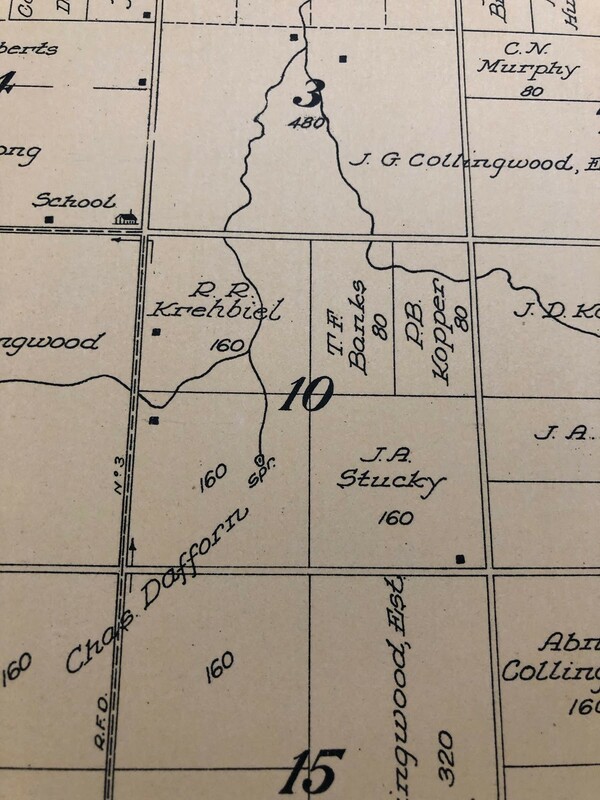 Section 10, Roscoe Twp, Reno County. 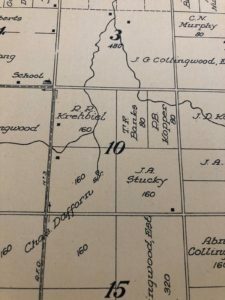 The Banks remained near Pretty Prairie in the heart of Roscoe Township, Reno County until 1925, when they moved to Harvey County. This entry was tagged Joan B. Fletcher, Mabel Banks Fletcher. Bookmark the permalink.